October 1st! The fall turkey season in our area ended today. Unlike the usual happenings around here, the turkeys did not completely disappear during the 7 day season, and we managed to fill two of the three tags that Ann, Rick, and I had. In addition, a friend and colleague from our Hunter Education instructor crew came out after work last Tuesday and tagged a bird here at the Ranch. 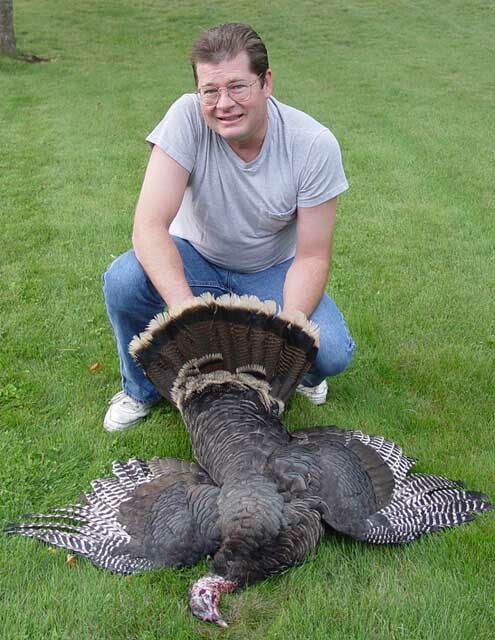 This is Rick and his young gobbler at about 7:00AM on opening morning. Rick's company golf tournament started at 9:30AM this same morning and I was an invited guest. We did a fast shuffle to get this feller dressed out and in the cooler before rushing off to play golf. The tourney was a scramble format, and our team managed to pull off a first place win, coming in with a team score of 5 under par! Rick also brought home a new Taylor Made driver, and a SOG multi-tool for winning 'closest to the pin' on both the KP holes. I can't play golf worth a cuss, but I got lucky in the prize drawings and came out with a nice Dewalt angle grinder. Along with the $50 gift certificates for each team member, we had a pretty good day! Sunday noon was my turn to kill a young turkey. Rick's is still in the freezer, with no permission slip for me to cook it! So, after being refrigerated overnight, I cooked mine using my 'drunken chicken' method in the Holland gas grill. I can report that the turkey tasted great. Tender, moist, and well, drunken! The leftovers are in the fridge awaiting their next duty, where it will be diced into small chunks and added to Little Heifer's favorite cornbread dressing recipe. Yum, Yum! The two or three ruffed grouse that hang around the Ranch, continue to give me the slip. I still want to try the 'drunken chicken' thing with a grouse, but no dice so far. They still call grouse 'fool hens' around here, but them doin' the name callin' aint chased these little devils! OK, the Marlin 'cowboy' lever action Model 1894 in the same caliber as the Vaquero was pressed into action. Again, as if they had my effective range pegged to the nearest inch, they stayed out of it. Next opportunity to 'go for the grouse' included a 12 gauge pump gun. This time I saw one grouse for one one-hundredth of a second as he flew into the trees with hysterical laughter drifting behind him in the air currents of his afterburners! To heck with the dang grouse! With deer season opening on October 16th, I did manage to check zero on some rifles over the last 3 weeks. Ann's 7mm-08 is ready to go with handloads shooting Hornady 139 grain SST bullets at about 2600 fps. The .300 Win Mag is on with Federal factory loads pushing 180 grain Nosler Partitions. While it's a bit of overkill for deer hunting, the .338 Rem Ultra Mag, is still one of the most accurate rifles in the gun safe, and shoots Remington factory loads with 250 grain Swift A Frames into nice little groups if you can handle the recoil. About a half dozen shots from the bench per session, is all I want of that one. Anyway, it's tuned up and ready to go elk hunting when the time comes. The rest of my practice with this one will be from sitting, kneeling, and standing with the use of Stoney Point shooting sticks, rather than from the bench. The other components are new Winchester brass, CCI 250 primers, and Reloader 22 powder. 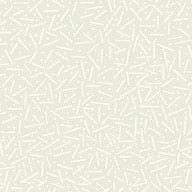 I'm using data from the Swift Reloading Manual. I won't print the specific powder charges I am using, but they are all within the range shown in the Swift Manual, with none reaching the maximum load shown in that source. I worked up loads with 5 different powder charge weights, loading 3 rounds each. Each load was fired for group at 100 yards over my Shooting Chrony chronograph. Average velocity for each 3 round string ran from just under 2800 fps to just over 3000 fps. 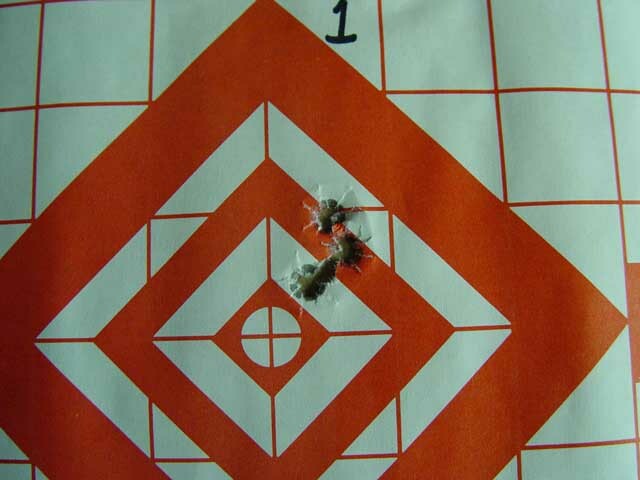 Here is a picture of the 3 shot group with the starting load. This was the best of the 5 groups. Although the other groups were all under 2 inches, none approached the size of this one. I was hoping for a hunting load with this bullet at just over 3000 fps, but if further testing continues to show better accuracy at 2800 fps, so be it. We sometimes get so obsessed with velocity, that we forget what a small difference 200 fps might really make when you're up in this speed range. For example, according to the Swift Manual, at 300 yards, with a 250 yard zero, this bullet is less than one half inch lower when started at 2800 fps than it is when started at 3000 fps. I don't know about you, but I can't hold within a half inch at 300 yards anyway! During one of my shooting sessions, I walked from the shooting bench to the house to switch to another rifle. When I returned I found I had a visitor who was obviously not bothered by the sound of gunfire! 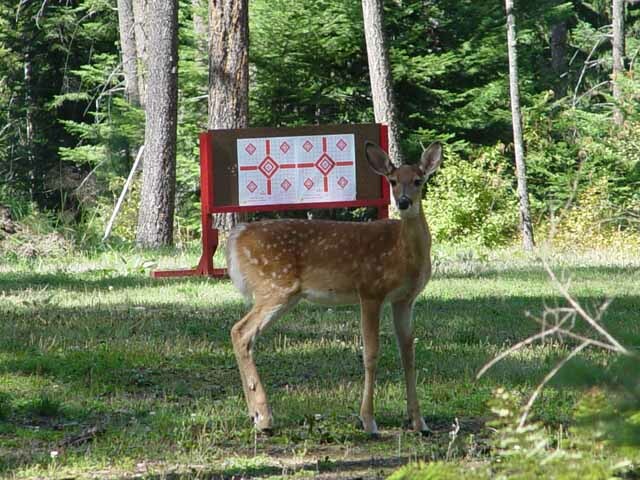 A time out was called to allow the visitor to clear the range. While I did draw a tag for an antlerless deer this year, I will likely opt for a mature doe or yearling when the season opens. We still need to test fire Ann's little .243 Ruger M77 Compact, to make sure it still shoots where she looks, and we'll be all ready except for burning some powder in practice sessions over the next few days. Whoops, almost forgot! 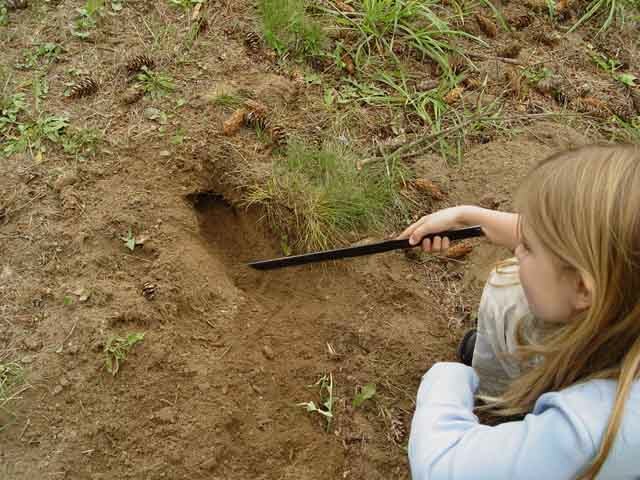 Jennifer and I had another gopher hunting expedition the other day. After a couple of months of very dry weather, recent rains started the grass growing again, so I had to mow the lawn for the first time in several weeks. I discovered pocket gopher activity along the edge of the lawn near the woods West of the house. About the time I finished mowing, Grandma showed up with Jennifer after picking her up from school. Fortunately Jennifer was wearing her new camo school pants, and was dressed for the safari. First we gathered the equipment. 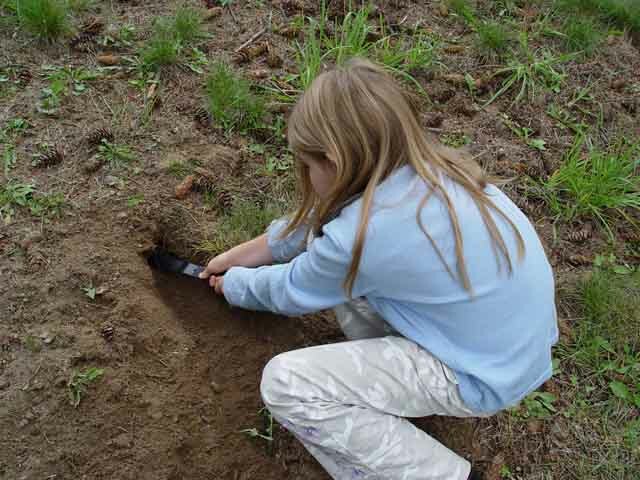 Next, we surveyed the territory, searched out, and opened the hole under the largest dirt mound. 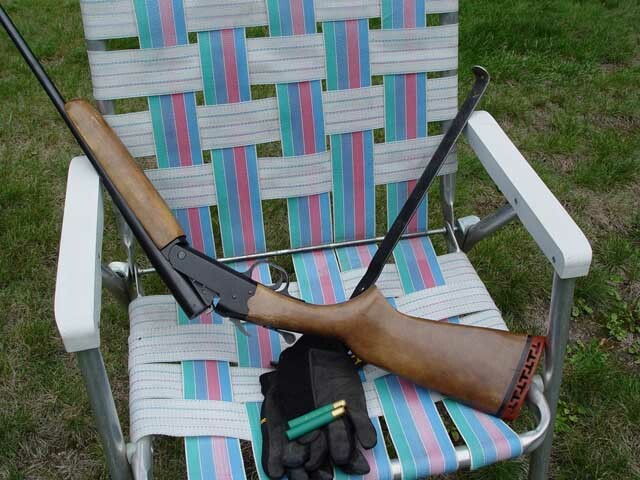 We then set up the lawn chair for Jennifer, while I stood at her side with the .410. After exactly 17 minutes, Mr. gopher poked out his head, scampered back, and then began pushing dirt to plug the hole. Bang! 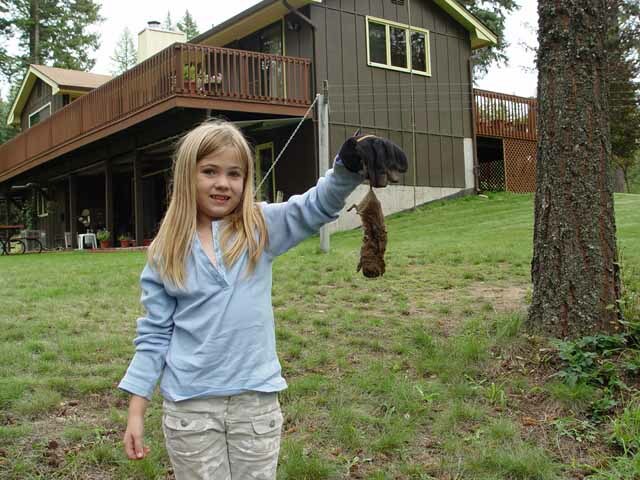 Dead Gopher! I'm not sure of the count, but I think this is 13 or 14 of these hole diggin' little suckers that have met their demise this summer at the Ranch! "If you catch the river risin' slowly from rains upstream, you'll catch a good mess of fish." "If you catch the water level steady or going lower, you might not catch any! But, if we got time we're goin' fishin' anyway!"